Don’t Miss This Exclusive Event! Limited Amount of Tickets Available! SPONSOR DISCOUNT: Courtney of Corona Extra, next 100 buyers get $20 off (only $99 GA & $119 VIP). ALL INCLUSIVE EVENT: FOOD, DRINKS, ENTERTAINMENT, & MORE! GA Tix Include: 4.0 Hour Premium All Inclusive Package! VIP Tix Include: 5.5 Hour Top Shelf All Inclusive Package! Chicago’s Top DJs will keep you dancing all night! Exclusive Early 11am check-in & 2pm check-out! Take an elevator home! Early Bird Special (until Dec 31 or while supplies last) – Less than 150 GA & 100 VIP Tix Left! Note: Click on all the tabs (Amenities, VIP Tables, Entertainment, Hotel, etc) to find out the full event info. TICKETS ON SALE NOW! 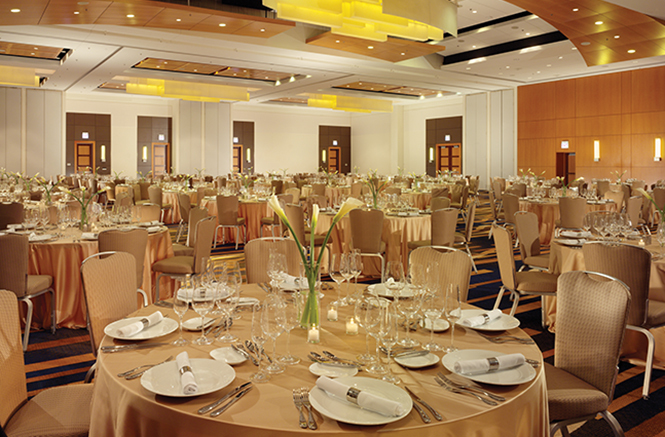 Celebrate New Year’s Eve at Swissotel Chicago! Tickets are selling fast! This is an exclusive VIP event and tickets are limited! VIP Experience – Celebrate Chicago NYE 2020 with a reserved VIP Ticket or VIP Table! Book Your Rooms ASAP (really right now)! Rooms are limited and prices will go up if not sold out by then. Make sure you mention the Official Group Booking Code “NL31AA” and event name “New Year’s Eve Party” – Full details on the hotel tab. If reservations says rooms are sold out, please e-mail us at nyeinfo@gmail.com and we will try to get more rooms added. Win Tickets to NYE 2020! Just “LIKE” the official NYE Facebook page for a chance to win this exclusive offer! Details on the Contest tab. Winner will be announced on Facebook. Also, stay informed about important NYE Updates and prize announcements! Sign up on the Official NYE 2020 Chicago Newsletter. New Year’s Eve 2020 updates are being sent out. If you have any questions, please visit the Contact Us page. Must Mention “NYE” at Door for Free Admission. The party continues the next day (capacity pending)! Name will be checked at door. 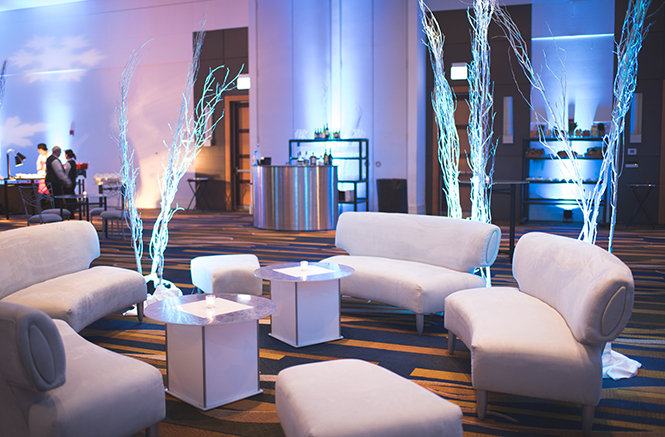 Celebrate this New Year’s Eve in Chicago and ring in the New Year 2020 at The Swissotel Chicago. 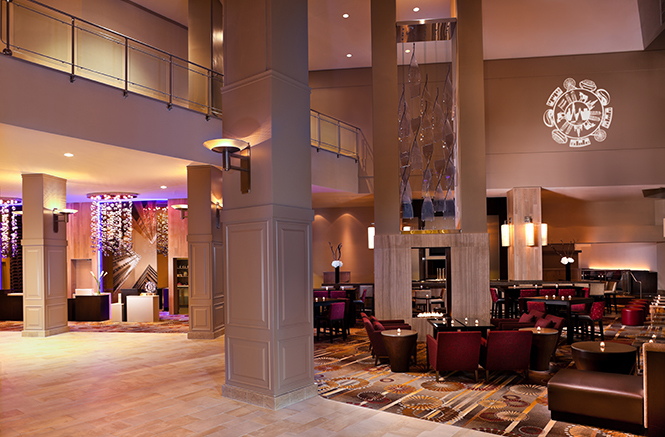 The hotel is well-known for hosting some of the most happening Chicago New Year’s Eve Parties. Every year people see lots of ups and downs on personal levels, and it is the time of the year that you must forgo the lows of previous year and welcome the new year with NYE 2020 Chicago party. 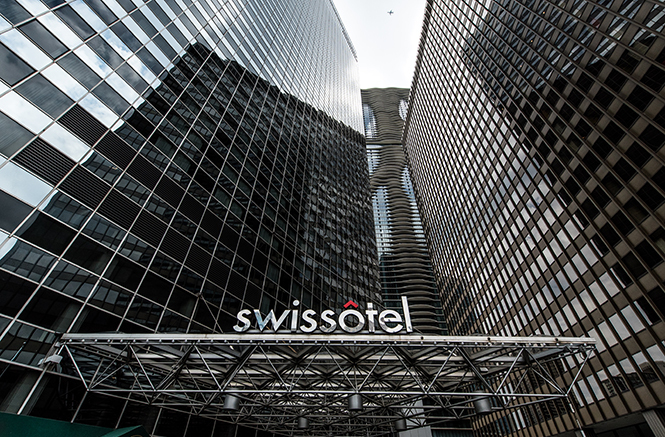 Celebrate New Year’s Eve at The Swissotel Chicago, a newly renovated, premiere downtown Chicago hotel that offers a full spectrum of services. 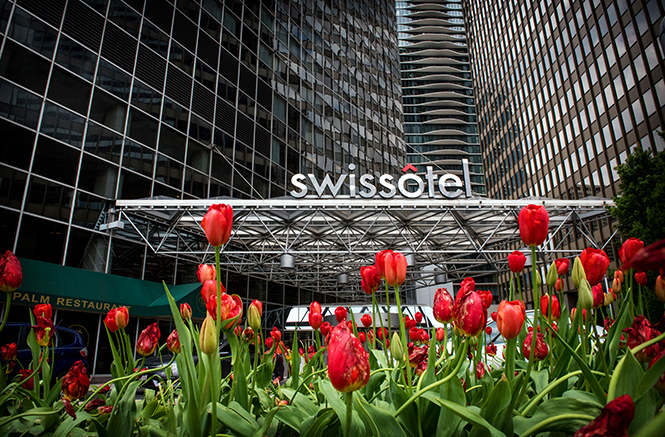 The notable hotel is located in the heart of the Chicago River is renowned for its top-class service that ensures attendants have an unforgettable experience. 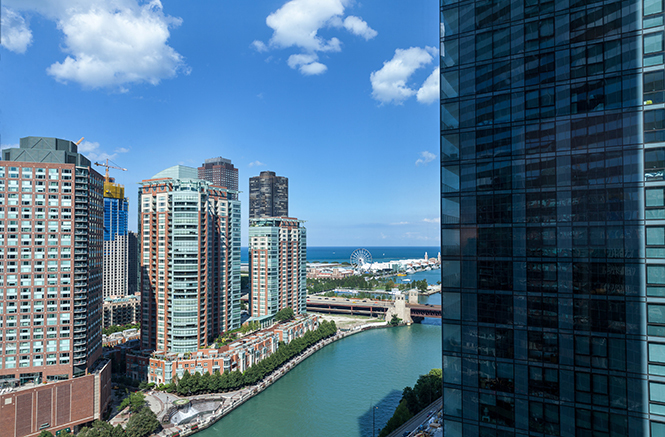 The hotel offers magnificent views of the magnificent Chicago River and skyline that will leave you spell bounded and inspired to explore the Windy City. 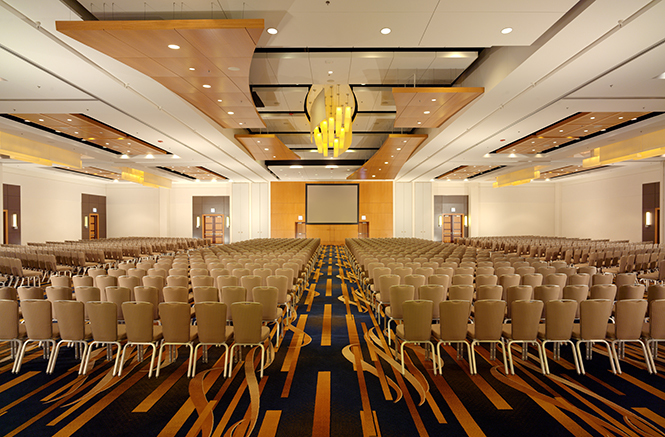 The hotel is walking distance to Michigan avenue, New Year’s Eve Magnificent Mile and Chicago NYE 2020. Its location makes the hotel cushioned in the heart of the restaurant and theatre districts where one can find plenty of things to do in downtown Chicago. So what are you waiting for celebrate ChicagoNYE 2020 with us, as we say goodbye to New Year’s Eve 2019 and ring in the New Year 2020. 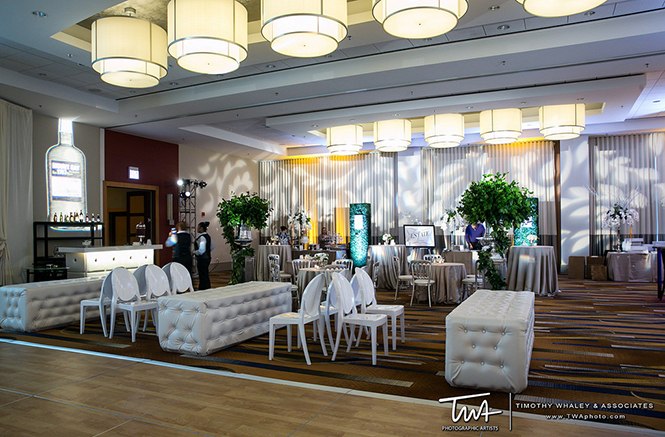 The gala event at The Swissotel Chicago will surely be one of the best Chicago public New Year’s Eve events. Book your tickets to the most happening Chicago New Year’s Eve Party, which is at a walking distance from the top New Year’s Eve now. The tickets to the event are on sale and we are currently offering early bird discount, so you can get general tickets at $119 per head and VIP tickets at $139 per head. 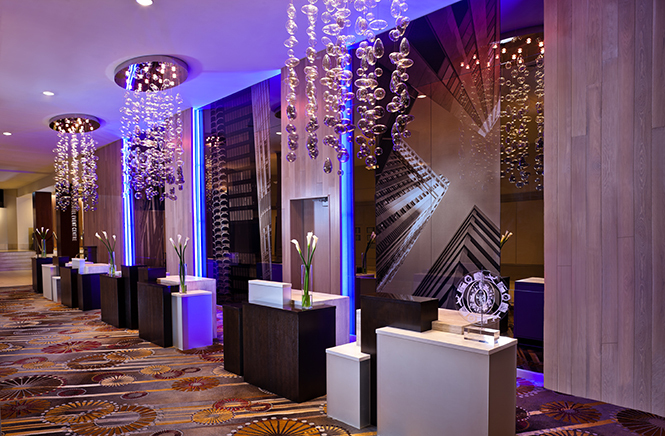 Be a part of Chicago NYE 2020 and welcome New Year 2020 with your friend and family in style at The Swissotel Chicago. 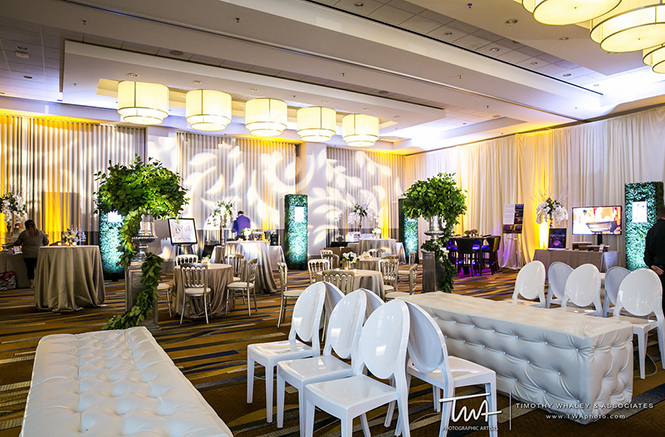 Join us for this special event in the city, as we say goodbye to New Year’s Eve 2019 and ring in the New Year 2020 at the Swissotel Chicago. Win New Year’s Eve Tickets! 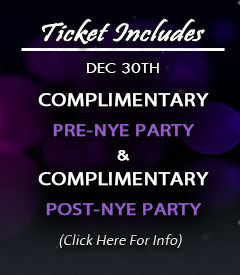 Win a pair of tickets to NYE 2020 at the Swissotel Chicago. Just “Like” us on Facebook!